Grass, Oat Bran, Wheat, Soya Bean Hulls, Lucerne, Peas, Yeast, Molasses, Thyme, Soya Oil, Calcium Carbonate, Monocalcium Phosphate, Ligno-Cellulose, Fructo-oligosaccharides 0.25%, Salt, Vitamins and Minerals, Oregano Oil. Contains natural Antioxidants. No artificial colours, flavours or preservatives. 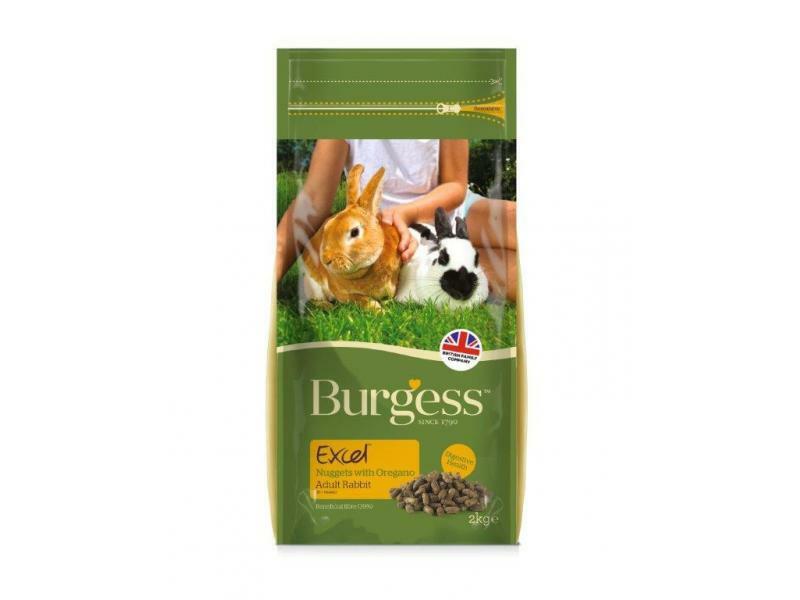 There are currently no questions for Burgess Excel Tasty Nuggets with Oregano Adult Rabbit Food - be the first to ask one!